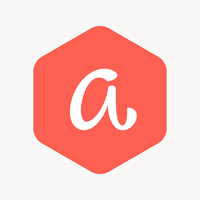 Aklamio empowers the Refer-a-Friend, Member-Gets-Member, and Employee-Gets-Member campaigns of more than 3.000 brands, generating sales uplifts of 20 percent and more. Market leaders like PayPal, Vodafone, E.ON, REWE, Telefonica, El Pais, AXA and others are using Aklamio’s technology. "Reviews for the people who love them"
Aklamio´s interface is very modern and it allows both user and business to encourage thorough reviews of their products. Its not only about referral or a couple of positive words, its about streamlining, the age old mouth to mouth way of recommending things that makes us all invest happily. It is a little bit broad in its product categories. Its user interface makes it all fairly easy to use but I would take a gander that more aged customers may not be able to use it as easily. If you´re a growing brand or product, Aklamio can get you to where you want to be, but there may be other cheaper, more widely appealing options for you to try first. Referrals for various products and subscriptions on clients all over europe. It worked wonders for a specific cooking book we worked with. * We monitor all aklamio reviews to prevent fraudulent reviews and keep review quality high. We do not post reviews by company employees or direct competitors. Validated reviews require the user to submit a screenshot of the product containing their user ID, in order to verify a user is an actual user of the product. Hi there! Are you looking to implement a solution like aklamio?